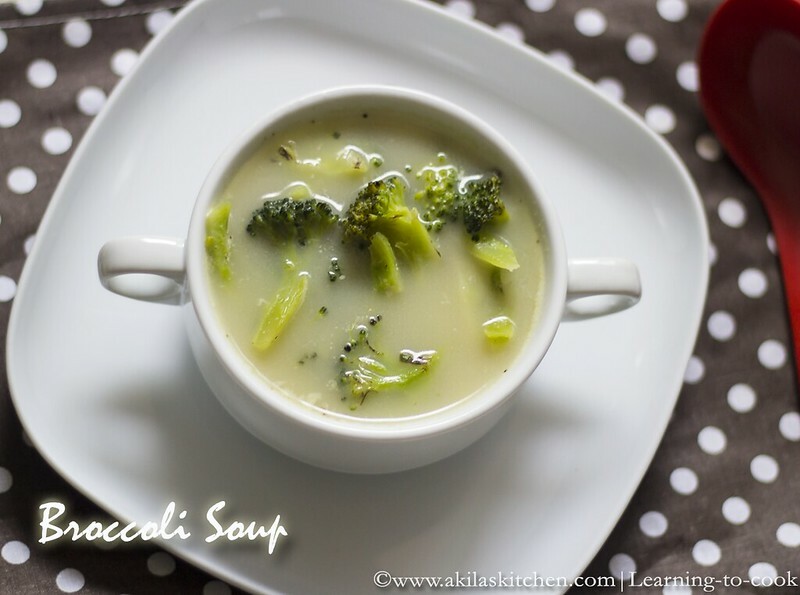 Broccoli Soup is one of our family favorite soup. Once a week I prepare this broccoli soup definitely. This is so simple to prepare and tastes great. The basic recipe I got from my Chinese colleague and I changed a bit according to our family taste. 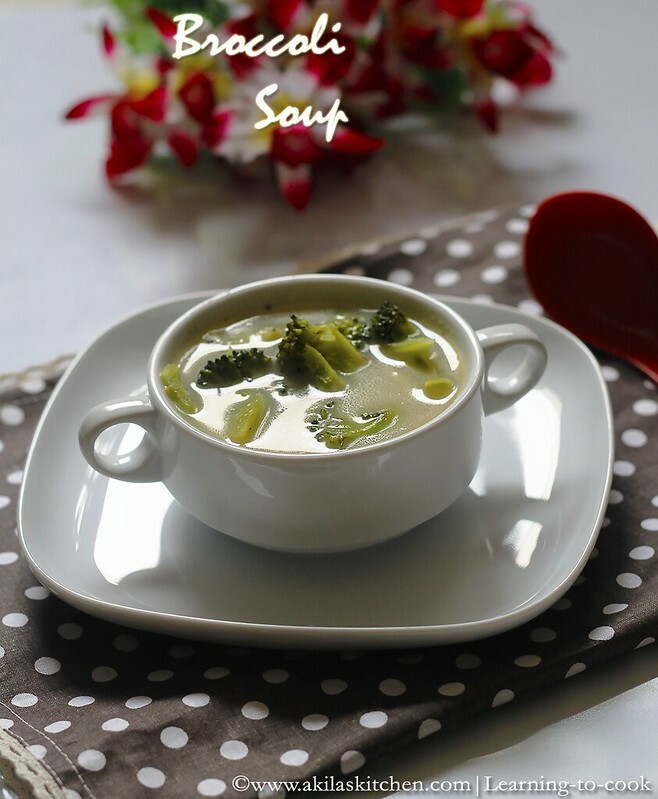 Let’s see how to prepare the Broccoli Soup. 1. Wash the broccoli and cut into small pieces ( around 2 cups ). Mix the corn flour + 1/4 cup water and keep ready. 2. In a pan, add olive oil and stir fry the broccoli just for 3 to 4 min. 3. In another vessel, add water, vegetable stock, green chili and bring it to boil. Add the broccoli now and white pepper. 4. Add the milk and again bring to boil. Add the corn flour water now. Allow to cook for another 5 min and switch off the stove. 6. Serve the hot hot and healthy soup. 1. Do not fry more than the mentioned time as it may tend to loose its crunchiness. 2. Instead of frying in olive oil, you can use butter as it enhances the taste. 3. Adjust the green chilli according to your spice level. 4. You can add black pepper powder also. 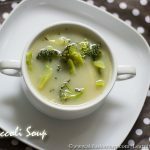 Broccoli Soup is one of our family favorite soup. Once a week I prepare this broccoli soup definitely. This is so simple to prepare and tastes great. The basic recipe I got from my Chinese colleague and I changed a bit according to our family taste. Let's see how to prepare the Broccoli Soup. 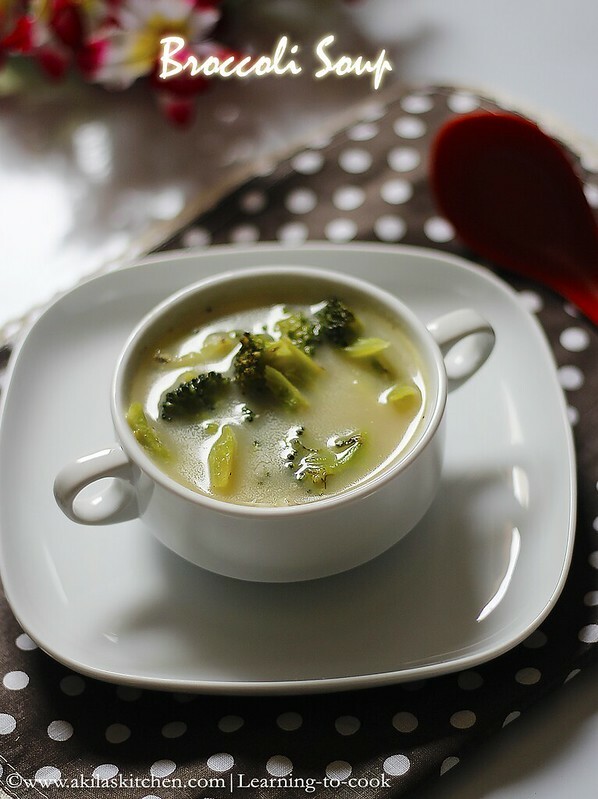 Wash the broccoli and cut into small pieces ( around 2 cups ). 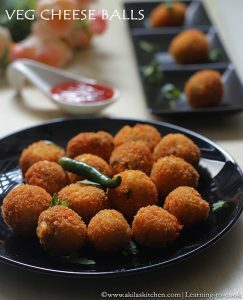 Mix the corn flour + 1/4 cup water and keep ready. In a pan, add olive oil and stir fry the broccoli just for 3 to 4 min. In another vessel, add water, vegetable stock, green chili and bring it to boil. Add the broccoli now and white pepper. Add the milk and again bring to boil. Add the corn flour water now. Allow to cook for another 5 min and switch off the stove. Serve the hot hot and healthy soup. Do not fry more than the mentioned time as it may tend to loose its crunchiness. Instead of frying in olive oil, you can use butter as it enhances the taste. Adjust the green chilli according to your spice level. You can add black pepper powder also. Healthy, yummy soup. Love it. Love this vegetarian soup. Thanks so much because I'm going mad trying to decide on what to cook on our Sat meatless days. I am, I shall and I will try for next weekend; need to get the broccoli first.